At midnight on June 13, BTS’ fifth debut anniversary, a special video was uploaded onto the official UNICEF twitter page. It was a thank you message from UNICEF Executive Director Henrietta H. Fore to BTS and the BTS ARMY around the world. As you know well, on November 1, 2017, BTS and Big Hit Entertainment kicked off ‘LOVE MYSELF’ campaign and are sponsoring UNICEF #ENDviolence to help children and young people around the world. A heart-felt message sent using the word ‘Purple you’, a special expression between BTS and the BTS ARMY. 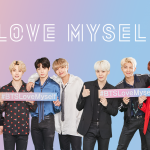 LOVE MYSELF campaign would not have been possible without the BTS ARMY around the world. We want to thank the BTS ARMY again for joining LOVE MYSELF campaign to make this world a better place. Please continue to join us in LOVE MYSELF campaign. At midnight on June 13, BTS’ fifth debut anniversary, ..